The term MySQL is born from the combination of two words My and SQL where Mi stands representing the name of the co-founder Michael Widenius daughter, and SQL is the common abbreviation for the Structured Query language. The project and made its source code available under the license GNU general public license and other proprietary agreements.MySQL is the dominant component of LAMP open source web application software stack. The LAMP stands for Linux, Apache, MySQL, and P for Perl/PHP/python. MySQL is a relational database, and it is the collection of tables or items organized into the predefined categories or the described tables. By this data can be reassembled or accessed in several methods without the need of reorganizing the database tables. And moreover, this style is popular with more than 100+ million copies of the software downloaded over MySQL. While creating the relational database, users will not only be able to extend the data but also can define the domain hosting of possible values in a data column and also any additional constraints which you need to apply for the value of your data. By this, the user data becomes more valuable and user-friendly. A Database an application that is intended to store the collection of data. The access to the database is made available by single or multiple distinct APIs for fetching, creating, managing the database and its respective values.Other types of the data can also be used like files on the file system large tables in the memory etc. But the fetching, accessing and transmission of data cannot be achieved faster. Nowadays trending in this field is relational database management system that eases the storing and managing the huge volume of data. The term relational is employed in this as the data is stored in different tables and the relation between them is established to achieve the intention. MySQL is the open source relation SQL database management system. for all types of cheapest hosting plans in india that we offers. It enables you to implement the database with tables, columns, and indexes. Note: HostingRaja facilitates MySQL on the server with the latest available version. If the user in need of different version as per their different coding scenarios HostingRaja facilitates the same. The MySQL has been a widely used Database management system as the server-side database. 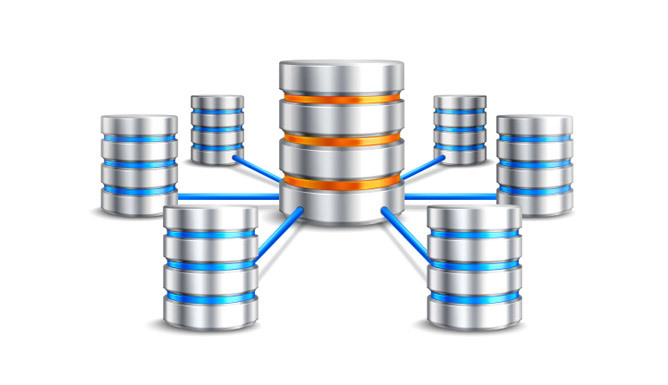 MySQL is an easy to use fast RDBMS being used on a small scale to large scale businesses. The MySQL is made available under an open source license. So there is nothing you have to pay for it. MySQL is the powerful scripted program that has its own right. It handles all the functionality and it subsets most of the expensive and powerful database packages. Today MySQL uses a standard form which is widely known SQL data language. The MySQL is compatible with all types of operating systems and also with plenty of programming languages like c,c++, PHP, Perl, java and more. MySQL works faster and it even works quickly with the large datasets. MySQL has most compatibility with the PHP, It is most appreciated and adopted language with the intention of web development. The MySQL supports the large databases. The visuality can be done with up to 50 million rows or even more higher in a table. The default limit of size of the file is 4GB. But it can be extended to the theoretical limit of 8 million TB. It privileges the programmers to modify the MySQL software to fit their requirements. HostingRaja is one of the leading hosting service provider company that adopts the latest available technologies into the server to ensure that the most advanced service is delivered. It provides the latest available version of MySQL on the server. HostingRaja has the award-winning support team that is skilled to provide a quick solution to clients queries and issues. The plans at hostingRaja are designed to provide flexibility to the clients. The plans are more affordable compared to any other website hosting India companies. If you want to know more about the plans and feature offered by us then can kindly contact our sales team members via live chat and toll-free no 1800-123-8642.